As a woman, I'll admit that I have a love for cute, comfortable shoes! As a mom, I'll admit that I love buying my children new shoes, especially my daughter, because the current styles are so cute and a girl can never have too many pair of shoes! Am I right? Zipz Shoes! Have you heard of them? No? Don't worry because I just learned about them last month! If you love shoes, you are going to FLIP! Zipz Shoes are the world’s first and only interchangeable shoes! Simply zip off (and on) the COVERS (shoe tops) and SOULS shoe bottoms) of your shoes and create an entirely new and stylish look. Making them the perfect accessory to any outfit! As I browsed through their selection, I was faced with a very difficult dilemma... which ones should I choose? The colors and patterns are fantastic! Cute, fashionable, and colorful! 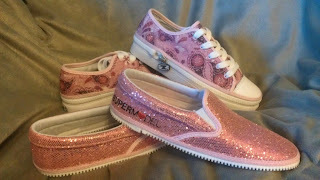 Flames, hearts, glitter, flowers, camo... hi-tops, low-tops and slip-ons, can I please just have one of each? 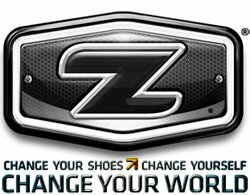 Zipz Shoes are unique, stylish, original, and give you the ability to change your shoes like you change your mind... the possibilities are endless. This giveaway will end December 5th at Midnight EST. 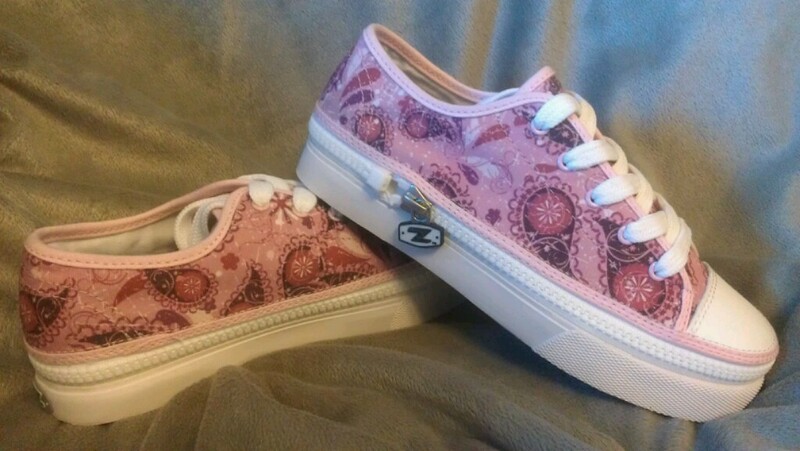 Disclaimer: I received a complimentary pair of interchangeable shoes from Zipz Shoes for the purpose of writing a review and hosting a giveaway. Regardless, I only recommend products or services I use personally and/or believe will be a good fit for my readers. The views and opinions expressed on this blog are purely my own. Results may vary. No monetary compensation was received. I love the Bandanaz in the Lo Top! I would love this for myself and def. the glittery pink u got! my daughter likes the hear print ones. I really like the ones you got for review but don't see them on their website. I like the Cranberry Lo Tops. OH MY GOSH!! 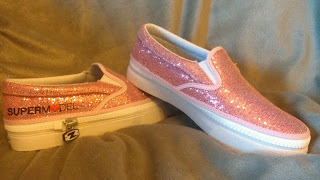 Jordyn would love, love, the pink sparkly ones!! I like the high top Super Model shoes! I like the cammo for my son! I like the Dragon Rose pattern.